I have zero respect for anyone who willingly takes another persons life. If you start to think about how much better off you would be by killing someone, do us all a favor and off yourself because, lets be honest, no one probably likes you because you are a creep and borderline psychotic. With that being said, the sports world lost a great coach and an even better man today. 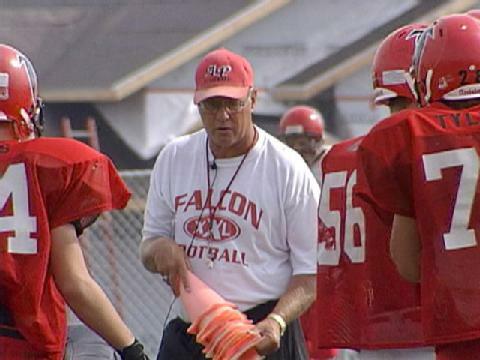 Iowa’s Aplington-Parkersburg High School Football coach/Atheltic Director Ed Thomas was gunned downed by a former player of his in the weightroom during off season workouts. Other players were present when the psycho gunned down the coach, but none were hurt. The gunmen was 24 year old Mark Becker. Becker was arrested in his parents driveway shortly after the shooting. This all seems like a fail on the police departments part. Becker apparently led police on a high speed chase last Saturday and was supposed to be admitted to the pyshciatric ward (shocking) there after. Some how that didn’t happen. How is it possible to lead police on a car chase on Saturday and be free and able to obtain a gun four days later?!? ← Previous Story All Star or All Bust?